I don't know about strangEST, but strange, sure. Crimereads recently posted a list of "Fiction's 10 Strangest Crimes". I'm not sure I agree with their choices (most of which sound like they fall obnoxiously close to "...and it was all in his head!" territory), but it serves as a reminder that I do want to read Tana French's The Likeness. 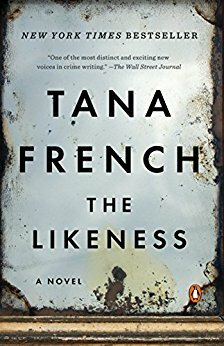 I've read the prequel to The Likeness, and while I thought it had its flaws, I'm fairly confident French won't stick me with an irritating was-it-just-a-dream? ending.